OK so you must be thinking this is a papercrafting site why in the world is she calling for Quilters. Well while I was at Leadership they showed us something that I just had to share. 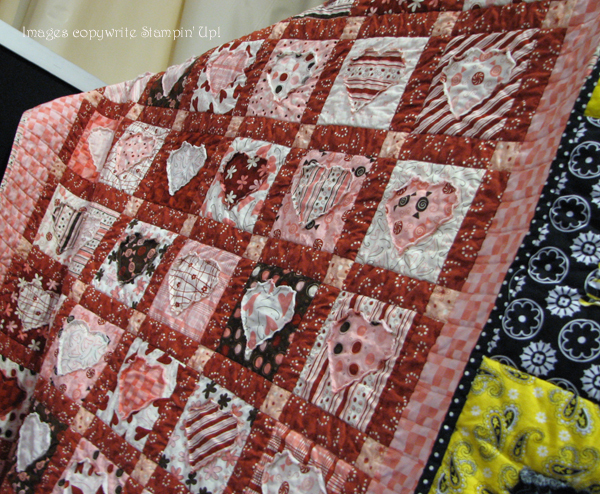 Quilters have discovered that our Big Shot is perfect for cutting out designs to make beautiful quilts with. I can’t sew a straight line if my life depended on it, but wow do I wish I could. 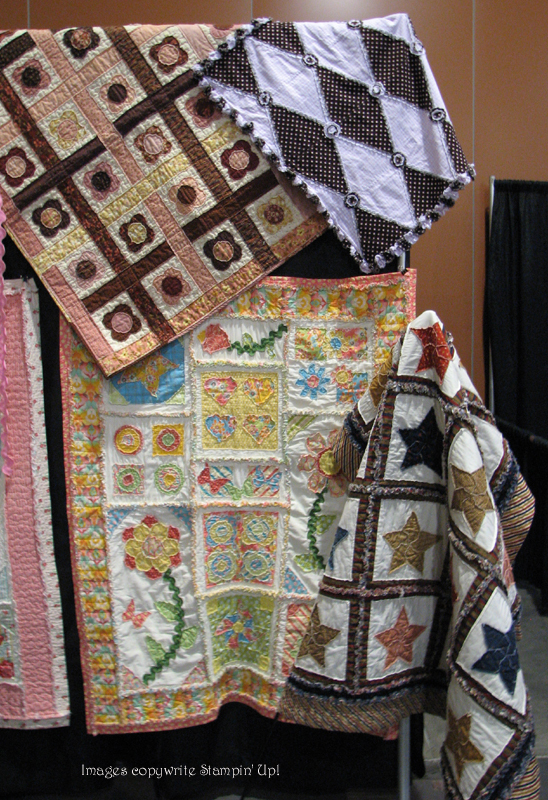 I was just in love with these beautiful quilts. The great thing about the big shot is that it can cut through several layers of fabric at once so it saves time. 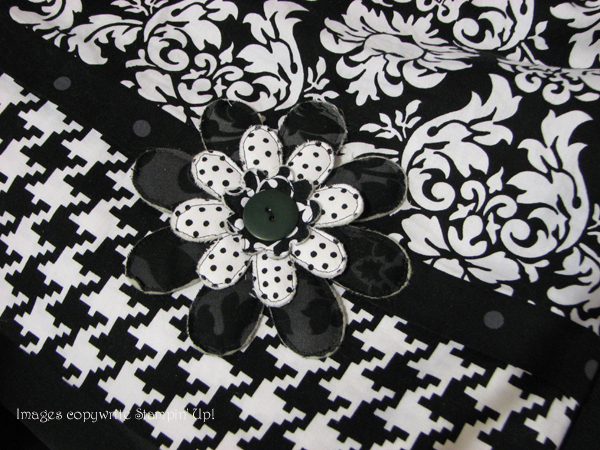 Plus it can cut out all the fun fancy stuff like curved edges that quilters usually cut by hand. I’m really new to this stuff and just learning, but if you know of anyone that quilts and would like to save some time please tell them about this great product. You could even host a party and receive all the great benefits for helping them out. So here are some of the samples of the awesome stuff they had on display at Convention. 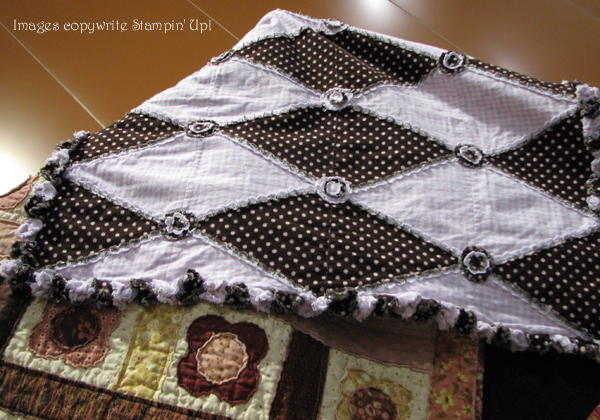 They also gave us each a quilt square and I have some more pictures I just have to find so I will post those later. Enjoy! Here’s a close up of the Star from above. It uses the 5-point 3D star Die. The one they gave us uses this same die to create a flower. 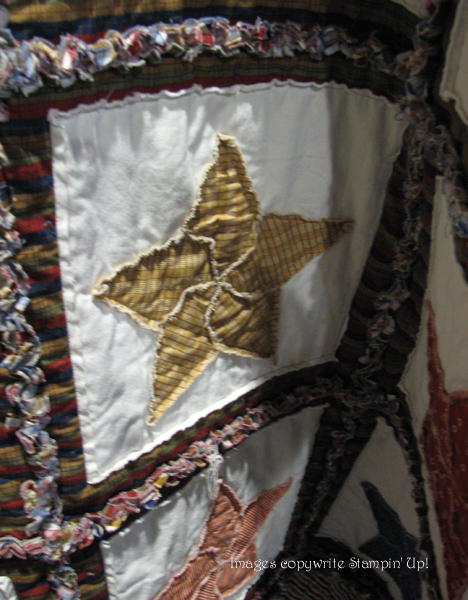 I would love this quilt for my son’s room or just a fun one for the family room. 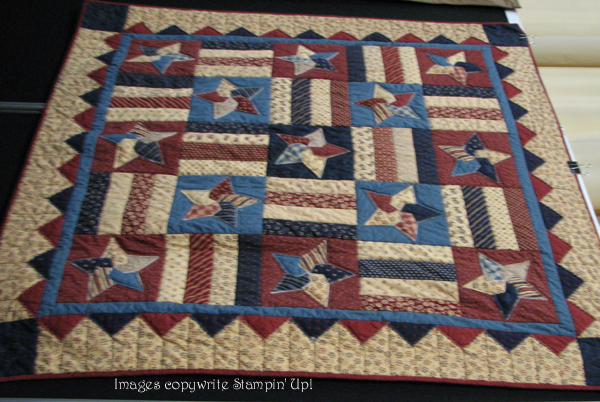 This one uses the Pennant Die (a Stampin’ Up! exclusive.) I think they fold the fabric in 1/2 before cutting for this one. 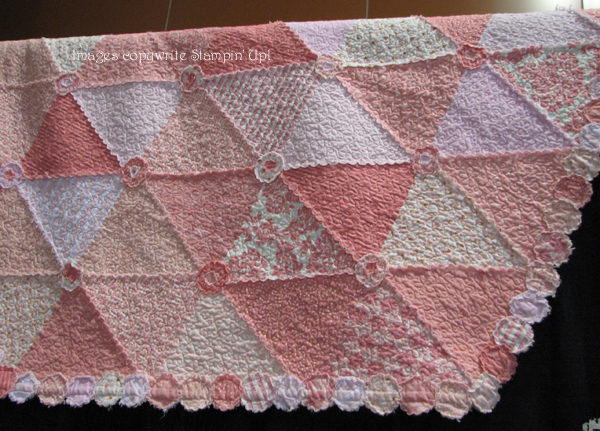 Here’s another one using the Pennant Die. I believe the small circles in the center are the Scallops from the Pennant die. you can also see them on the edges. This is just a perfect baby blanket. I love this one with the hearts. I think it was done with the Petal Card Die. Here are some more flowers. I’ve seen them on bags, dresses and ever in little girls hair. 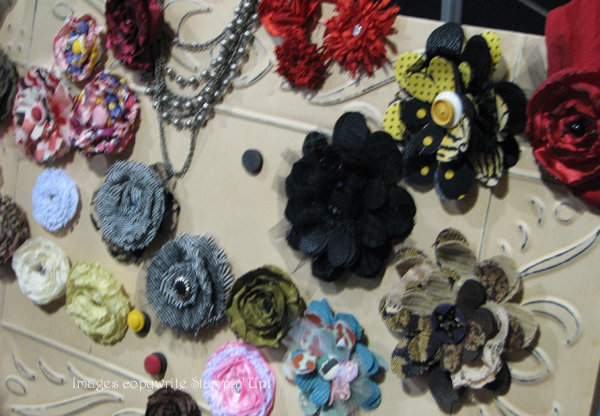 They also use the Scallop Circles and the Flower daisies #2 to create these I believe. 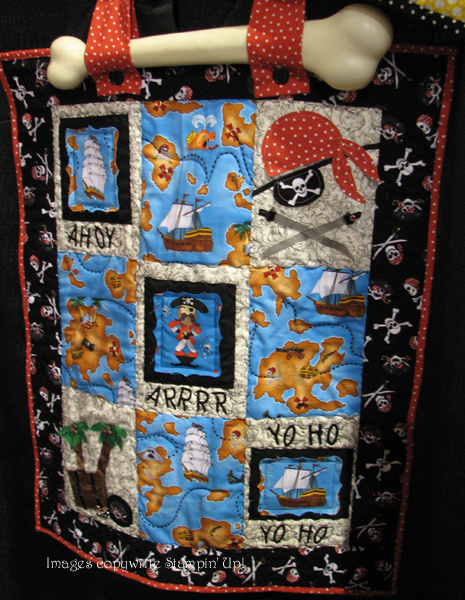 This pirate one is one if my favorites. It uses the Stampin’ Up! exclusive Top Note Die. I want this one for my mom so bad. She loves patriotic stuff. Once again the stars were created with the 5-point 3D star die. So if you know anyone one that would love this stuff or you would like to here more contact me today.